I’m not one to knock a city, or any destination for that matter. I believe that every place has its own charm and character. It’s just that some places you have to dig a little deeper to find these attractions; whereas the vibrancy of other cities just jumps out at you. 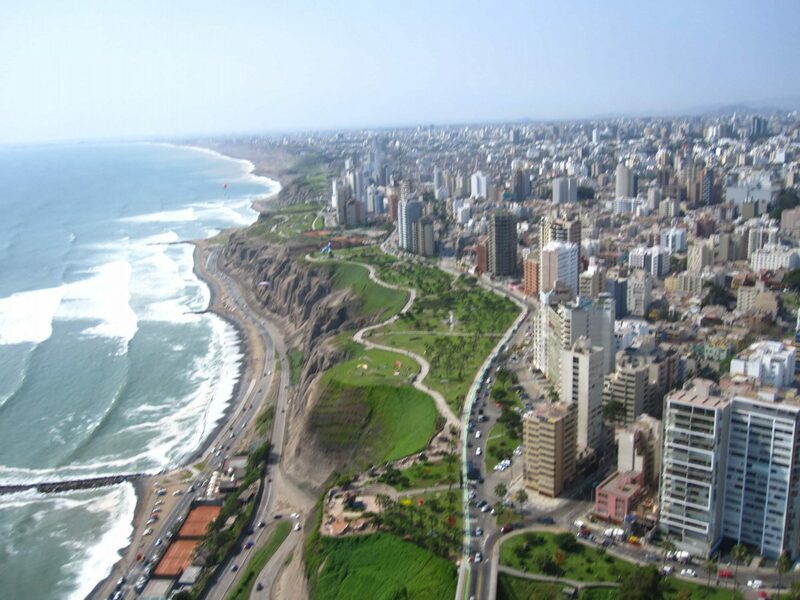 Lima, unfortunately for most tourists, falls more in category A than B. However, Peru’s capital is full of gorgeous architecture. The streets are walled by brilliant buildings dating well back into the colonial time period. However, a city’s character generally doesn’t lie within the stone pillars of its buildings but rather in the heart and soul of its people. So where do the citizens of Lima go on their own time? Parque de las Aguas. 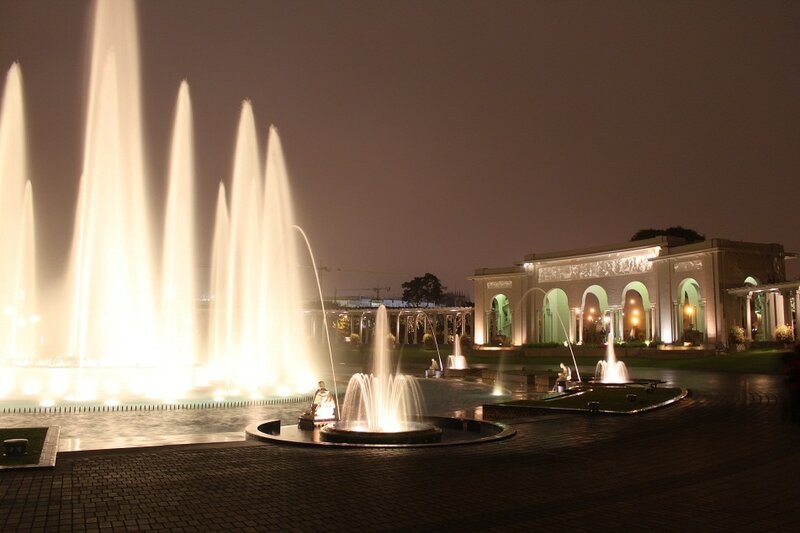 Parque de las Aguas is not only one of the most interesting parks in Lima, but in all of South America. The park is visited by thousands of locals each day, which, at the surface, may sound like a reason not to visit, but it really is just the opposite. Couples stride happily as they beg passer-byers to take their picture in front of water fountains that seem to dance to the music while glowing in bright shades of gold, red, pink, blue, and orange. Children race around with grins that seem to stretch beyond the capacity of their faces as they run through a fountain set up to entice the children in, and then soak them from head to toes. Unlike the rest of Lima, where visitors often see the people from an outside perspective, being at Parque de las Aguas lets you feel like you’re a part of the Limeno spirit. It is here too that you will have the chance to dive into the heart and soul of the Limenos and hopefully have some real reactions. Rather than walking the streets and through the museums, being in the Parque de las Aguas will teach you of the sense of spirit that the Peruvians hold high. In this setting the smiles of the Peruvian people shine through as strongly and as proudly as the colours of the beautiful fountains. Each hour a bright green laser lays images upon the mist of the main fountains, describing iconic images from across this dynamic country. The images convey the message of pride, culture, and most of all fun. The Latin people are known to be some of the most fun-loving in the world. However, many travelers miss out on this side of their travelers, not diving into the society one-hundred percent, or possible not sure how to. But those who do engross themselves in the soul of Peruvian, and Latin American culture, will surely find themselves rewarded. So although I came here, to Parque de las Aguas, for the glistening water fountains and lights, I feel like I came away with something even more special: the joy of getting to know not one person, but a people as a whole. I imagined Lima to be a beautiful city, great for walking and exploring. I’m surprised you said it is a bit lacking in atmosphere but that just makes me want to go and see for myself. There’s something fabulous about cities with fountains: they fill me with a childish excitement. Love the photos, can’t wait to get there. Enjoyed the photos! Wish we had stayed in Lima long enough to see this.